Shahrukh is using Smore newsletters to spread the word online. 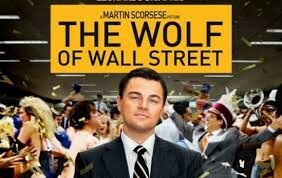 Belfort was born in the Bronx of New York City to accountants Leah and Max Belfort, and was raised in Bayside, Queens. Belfort and his close childhood friend Elliot Loewenstern made $20,000 selling Italian ice from coolers to people at a local beach. Belfort planned on using the money earned with Loewenstern to pay for a dental-school. He then enrolled in Baltimore College of Dental Surgery. However, he left after the dean of the school said to him on his first day at the college: "The golden age of dentistry is over. If you’re here simply because you’re looking to make a lot of money, you’re in the wrong place." Belfort left dental college and eventually graduated from American University with a degree in biology. 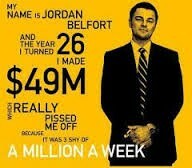 Belfort was earning $50 million a year, once reportedly making $12 million in three minutes. As the owner of Stratton Oakmont, Belfort employed over 1,000 stockbrokers and raised over $1.5 billion and started more than 30 million-dollar-companies from scratch.He’s acted as a consultant to more than fifty public companies, and has been written about in virtually every major newspaper and magazine in the world, including The New York Times, The Wall Street Journal, The Los Angeles Times, The London Times, The Herald Tribune, Le Monde, Corriere della Serra, Forbes, Business Week, Paris Match and Rolling Stone. He once generated a $700,000 hotel bill. One office junior agreed to have her hair shaved off on the trading floor in return for $5,000 for a breast job. Belfort’s drug of choice was Quaaludes. He once landed his helicopter on his back lawn, flying with just one eye open because he was so stoned he had double vision. He sank his 167ft motor yacht, complete with seaplane and helicopter, after overruling the captain and taking it into a Mediterranean storm. He used his first Wall Street Bonus to buy a white Ferrari because Don Johnson had one. He kicked his wife down a set of stairs in front of their young daughter, and then drove his car through his garage door with the little girl unbuckled in the front seat. He often charged prostitutes to his company card, even writing them off on his taxes. 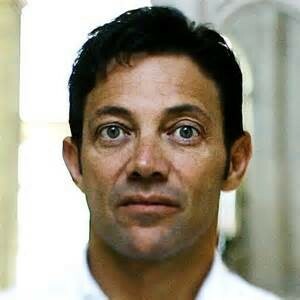 Belfort only had to serve 22 months in jail for stealing over $110 million. "Jordan Ross Belfort." Bio. A&E Television Networks, 2014. Web. 07 Nov. 2014.